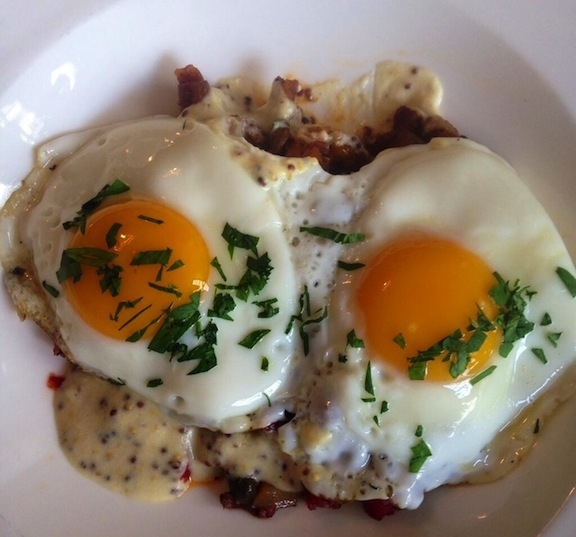 DGS Delicatessen | Gluten Free D.C.
What I got: DGS Pastrami hash: sunny side up eggs on top of chopped pastrami, roasted peppers, potatoes and mustard sauce. 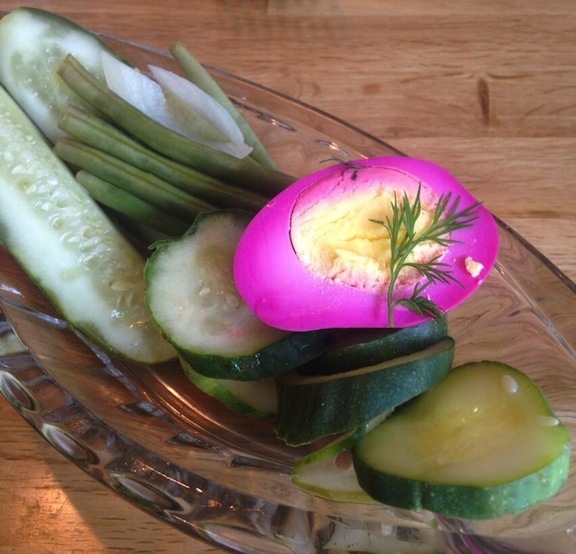 Also, an appetizer of pickles. Dills, half sours and assorted veggies all picked in house. My anytime-breakfast was absolutely amazing. I wish I could make this for myself every day. It was just the right amount of food, too. Gluten-free friendliness: It’s definitely possible to eat here multiple times and find different gluten-free options. The benedictberg, poached eggs on top of latkes with smoked salmon and hollandaise, is another tasty breakfast item. If you like meat, try the plate of brisket. And if you’re in the mood for soup or a salad, they’ve got you covered. You do have to read the menu carefully, though. Grandma dot’s Holishkes includes rye bread crumbs. 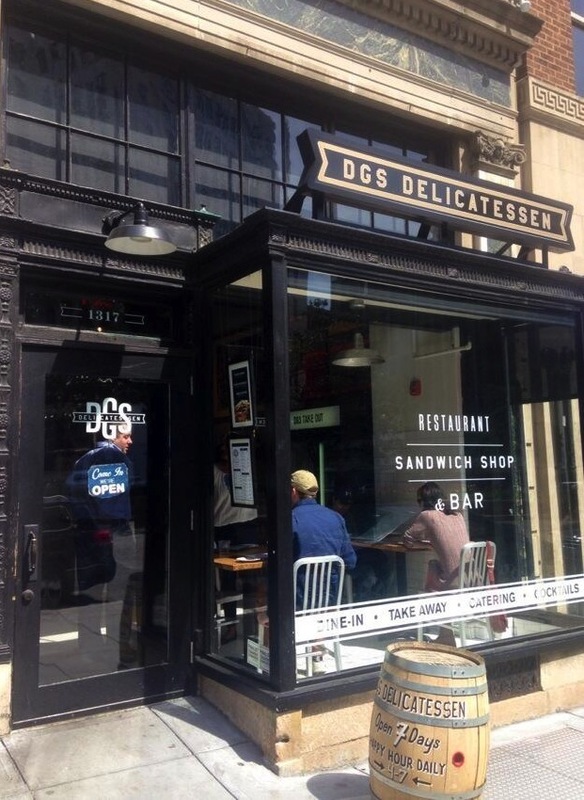 Overall vibe: DGS delicatessen is slightly more upscale than your average deli, but the food is well worth it. The exposed brick walls add a certain charm to the space, which is decorated with painted serving trays and old photographs. There’s outdoor seating and a bar downstairs if you’re looking for a new happy hour spot. This entry was posted in DuPont and tagged Brunch, Deli, Dupont Circle, GFDC, Gluten Free DC, Gluten-free diet, Gluten-free food, Gluten-free restaurants, GlutenFreeDC, Pastrami, Pickles, WashingtonDC. Bookmark the permalink.